The company has its beginnings in 2007 and its founder is Janusz Sikora, formerly one of the pillars of Burdjak & Sikora company producing supreme vaccum-tube amplifiers. 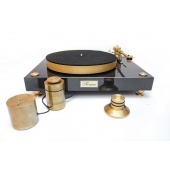 Our turntables are produced individually, they are addressed to advanced music lovers and audiophiles who, like us, seek for the uncompromised and best possible sound source. 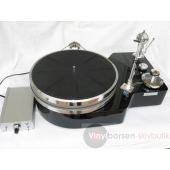 We are concerned with designing and producing the advanced analogue turntables. We are lovers of good music played at home in the best possible quality. J.Sikora brand was built on this foundation and the need to share our own passion. 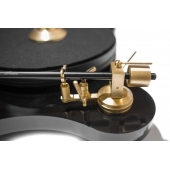 We offer 3 turntable models - Initial, Standard and Reference - made of the highest quality diverse materials, which together with the highest quality tonearms, cartridges and corrective phonostages enable perfect audio playback and the best possible use of music potential hidden in a vinyl record. 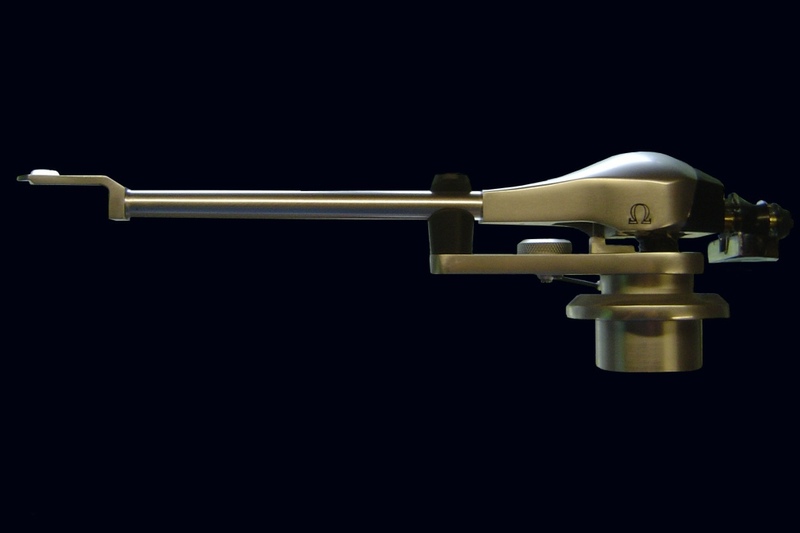 Although we recommend Kuzma, tonearms for our turntables, there is an option to mount any tonearm or even 3 of them depending on individual customer needs. 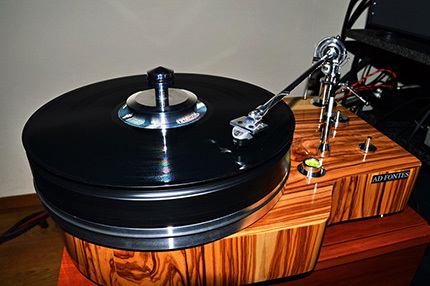 Turntables are 100% our product so we are able to adjust the device to individual needs of the owner. Helius Designs was formed in 1982 following the demise of the Cambridge based company Tangent Acoustics, for whom I had developed turntables. At the time, tonearms seemed the forgotten component within the hi-fi chain, somewhat surprising since it had been well establish how much turntables influenced sound quality. The Standard arm was the first model launched by Helius, however the Orion was actually the first design on the drawing board. We needed to establish a reputation and following before the more exotic design of the Orion was launched on a unsuspecting hi-fi community. Eighteen months later the Orion was launched to coincided with an upgrade of the Standard arm, called the Aurum. As we became established, pressure grew to launch a competitively priced arm, and thus the Scorpio range was born. The Orion evolved into its MKII guise, the Aurum gave way to the Aureus, and in time, the Scorpio evolved into a MKII. Whilst the Orion still had a good following, ideas were brewing for a replacement. Not being a business to go on offering modest tweeks and upgrades to aging designs, we launched the Cyalene. This design was as innovative as the Orion had been. Shortly after this launch, the fashion for gimbal designs passed, and people were asking for a `mini-Cyalene’. Thus the Aureus II came into being, along with the final incarnation of the Scorpio. As the Advent of the CD slowly took hold, the Scorpio sales fell, and was dropped as digital audio took over the entry level market. 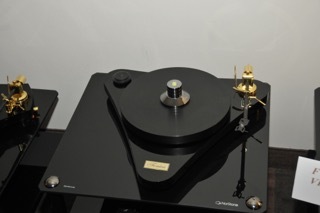 The Cyalene couldn’t evolve any further, and the market could not take a tonearm even more expensive. This left the MKII Aureus, and the Orion `name’. The decision was to drop the former and re-invent the latter as the Orion 4. Helius continued quietly for the next few years, developing its business in laser and astronomical optics. We serviced arms and quietly sold sufficient to keep the hi-fi business alive. In the background however, were the seeds of an idea that became the Omega, singularly, the most ambitious hi-fi product I have ever designed. It combines all the best features of the Orion and Cyalene, and takes the technology significantly further. 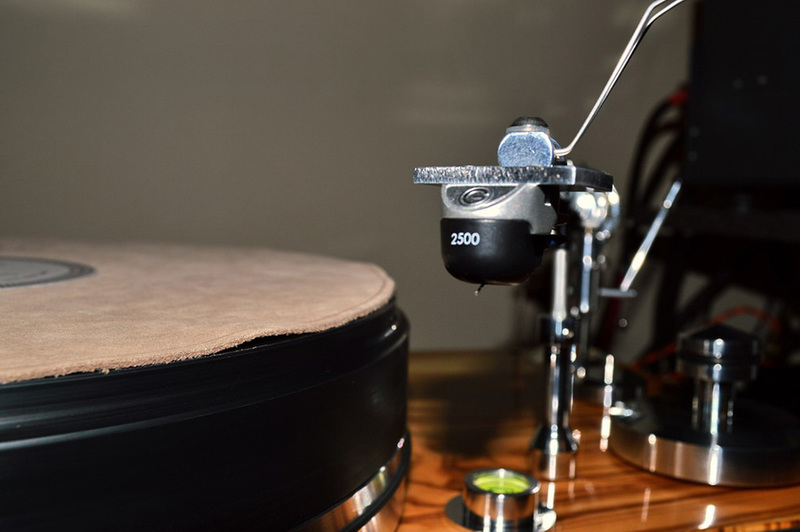 The Omega was born about 2 years ago, and has gathered momentum as the new breed of turntables establish themselves. 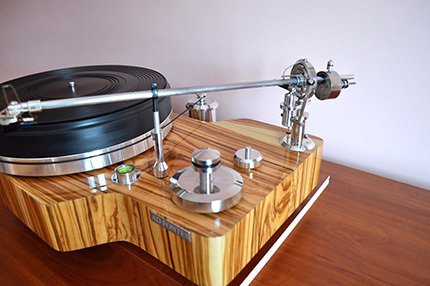 It is simple enough to design a platform at one end of a tube on which to mount a cartridge, construct a set of bearings, affix a counterweight to balance the other end, and call it a tonearm. This might physically work, but it’s like comparing a model T Ford with a new Ferrari, and shows no real understanding of the physics involved. 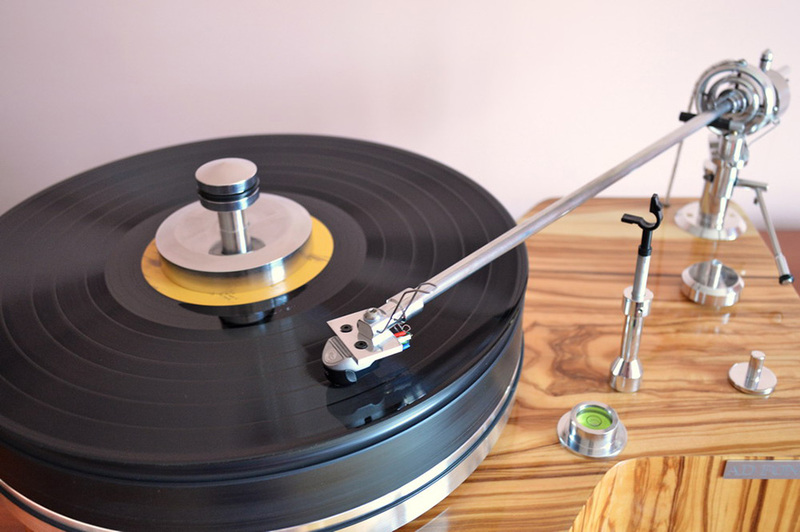 Apart from the obvious requirement for the arm to follow the groove across the record surface, a tonearm must exert a significant degree of control over the movement of the cartridge body as the latter tries to vibrate in sympathy with the stylus and cantilever. As these two parts vibrate, they impart kinetic energy through the body of the cartridge and into the arm. As the application of a force requires an equal and opposite reaction, it follows that the whole tonearm must try to react by resonating, or vibrating about the bearings. The musical signal is generated by the relative motion of the cantilever with respect to the coils and magnets inside the cartridge. The stiffer the cantilever mounting, the more kinetic energy is imparted, and the more prone the arm is to move in sympathy. In a perfect situation, the body of the cartridge would be bolted rigidly to a heavy mechanical structure, so the signal generated is purely that of the stylus in the groove. But the system is not perfect. The arm is pivoted, and ( to some degree), will always vibrate in reaction to the stylus. This secondary, non musical, component is `added’ to the primary signal waveform. In other words, the signal sent to the amplifier is a compound of both the music and any extraneous vibration from the tonearm. This constitutes colouration, disguising musical information....... Accentuating some frequencies, blurring others and lingering beyond the point where the notes in the music stopped. Subtle background information is lost from the midrange, the treble can become harsh and bass either lost or accentuated. Accuracy of stereo imaging is lost, transients are diminished and front-to-back depth is limited. In short, the tonearm must be designed to ensure the musical signal generated, is only what the stylus sees in the groove ! Or to put another way.......... a tone(less)arm !! Upgrades can be divided into two arenas, electrical and mechanical. The most popular upgrade is to the wiring and cables. The standard internal wire is copper, so the first upgrade we offer is to change this to single strand silver. The wire is 0.25mm in diameter with both channels being twisted into pairs. Channels are paired in counter-rotating helixes, and then reversed for the second pair. This way, full advantage is taken of the twisted Litz format. In all, nearly 8 metres of wire is used per arm. 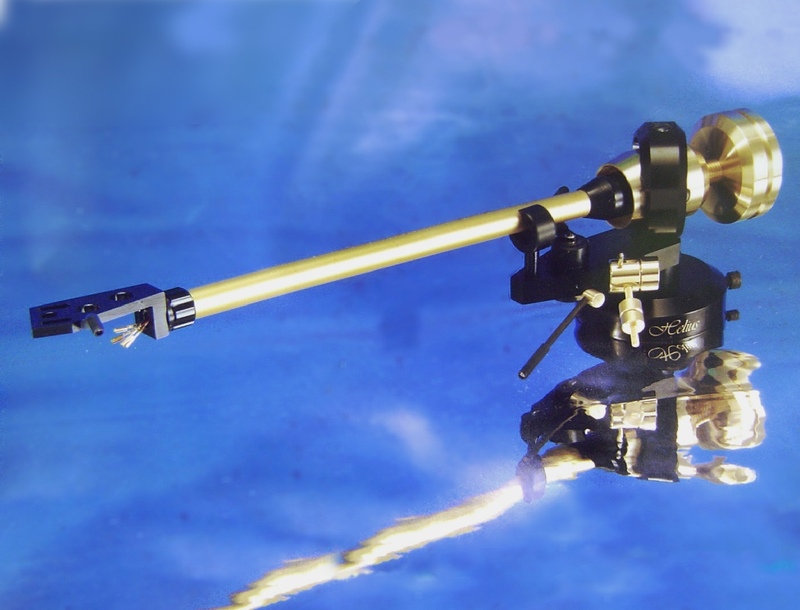 The second upgrade recommended is to change the external cables to the new format developed for the Omega arm. Here, we extend the internal wires out through the underside of the arm ( usually by about 200 mm ) and terminate them into a small plastic box fitted with two female phono connectors. There are several advantages for doing this. The first one is that the fine internal wires do not adversely affect the turntable suspension in the same way that the solid cables do. They remain equally flexible in all directions. The mechanical upgrades fall into two categories, one is the change the specification of any given arm to a higher grade, and secondly to upgrade specific components within a product. For example an early Cyalene can be upgraded to the MKII super-Cyalene by changing counterweights, arm tubes and downforce adjustments. It is also might be possible to change the bearings for rubies or ceramic balls. It must be pointed out that a Scorpio 1 cannot be upgraded to a Scorpio 3, they are two fundamentally different designs, in the same way that an Orion cannot be upgraded to a Cyalene. The purpose of this page is to keep customers informed of the latest product developments at Helius, and update you about progress. 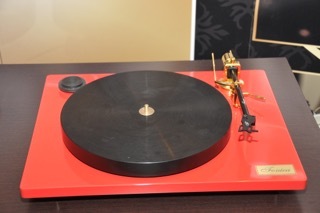 As you can see from the product index, the Alexia turntable is now officially listed. It’s been a pretty open secret that we’ve been working on a turntable for some time., so I’m pleased to announce that the first samples have already been passed to dealers, distributors and reviewers. Indeed the first review has recently been completed by Kevin Fiske. If all goes well, the plan is to launch the first of two turntables around May this year. 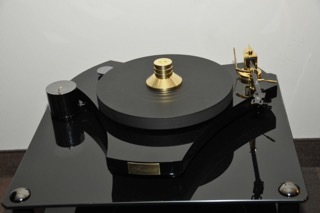 Those interested in the Alexia can check out its credentials by looking at the website www.alexia-turntable.co.uk. The second turntable, Hyperion, is scheduled for later this year, but probably won’t be released before Helius’ first amplifiers. More details about the amps will follow but our ambitions start with a 50W P/C integrated amp or the same design supplied as separate pre and power amps. 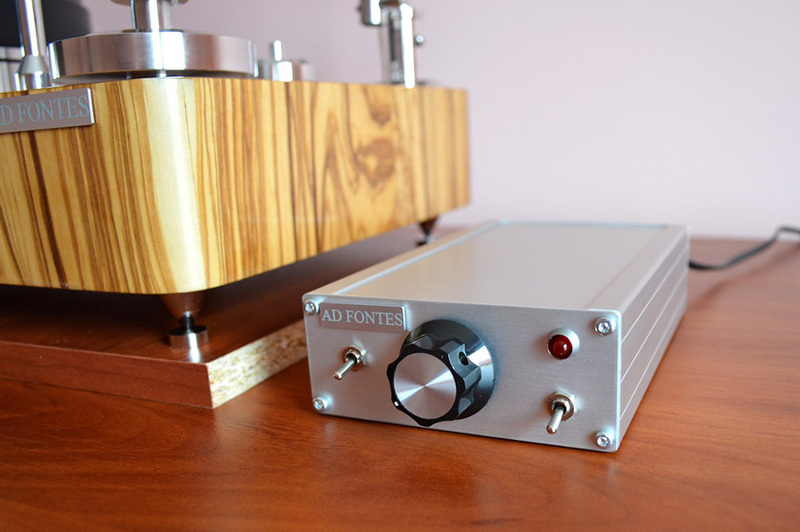 The next version up will be available as monoblock power amps putting out around 120W to 150W with a matching pre-amp....obviously both pre-amps will be fitted with MC or MM phono stages. More information about both the turntables and amps will become available over the coming months. By way of a complete side-ways step ( incongruous some may think ) the author of Helius’ designs, Geoffrey Owen, has just become the published author of a series of novels that amalgamate the latest thoughts in astrophysics and particle physics, with the rise in fundamentalist religions. The story unfolds in an environment where a technological calamity puts a group of scientists on a collision course with militant religion as the latter believes the answer to their problems can be found inside what is regarded as the holiest of shrines. As writing is simply another form of creativity that requires imagination, perhaps it’s not such a great leap. This page will change, and possible grow into two pages. As the business expands and diversifies it seems to be gaining new friends everywhere. 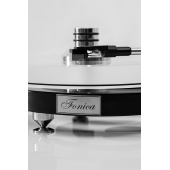 Fonica is an exclusive brand of Audio products directed at the most demanding customers. The highest quality of execution, sophisticated encasement, advanced technology combined with detail oriented execution of the mechanism - all these features place our products on the top of luxurious audio equipment. All components are hand-made with modern CRC lathes. Our products are manually polishes, selected and assembled. Our offer combines classical patterns with the latest trends in worldwide design. Fonica assortment is engineered by the most qualified and experienced specialists whose passion is music. 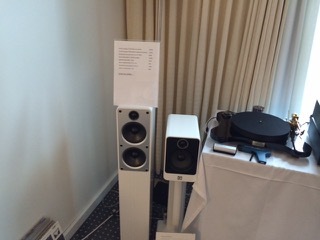 FONICA at Warsaw Audio Show. Hotel Radison Blue Sobieski. 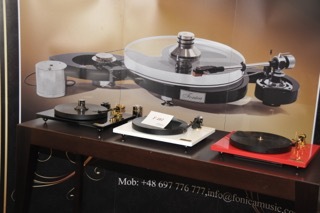 We would like to inform that FONICA turntables were demonstrated in Paris. 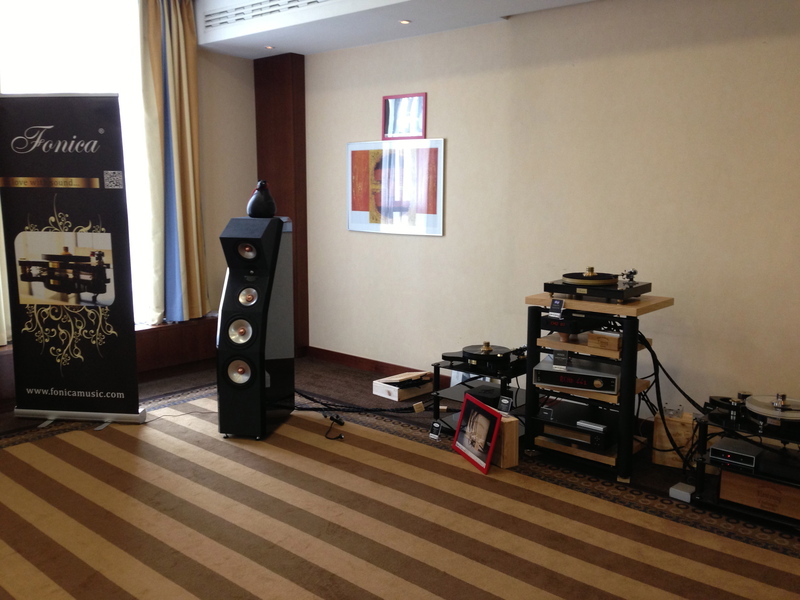 We would like to invite our funs to HOTEL SOBIESKI room number 408 during Warsaw Audio Show. The second audio show in Europe - just after Munich. On 8-9 of November we will show some surprise for everyone. We would like to inform that we are on FACEBOOK. We would like to inform you that we have updated our products. We present new 2014 models with the highest quality finish. All brass parts are covered with natural gold or black nickel in F 601 model. We would like to thank Mr Wally Malewicz for his recent technical support and kind words . 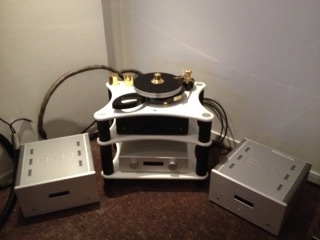 Fonica will surely benefit from having such wise frineds in the audiophile world. 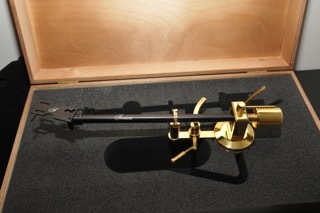 After months of work we are ready to manufacture our own signature tonearms. We are very proud with that accomplishement and happily present to you our two newest designs– both made with our „no compromise” policy. In these tonearm constructs we used best quality materials and as usual avoided anything synthetic. Both are finished with brass and anode which toughness up to 60 degrees in Rockwell scale. They differ with applied bearings. 11. Silver-covered connectors to the cartridge. 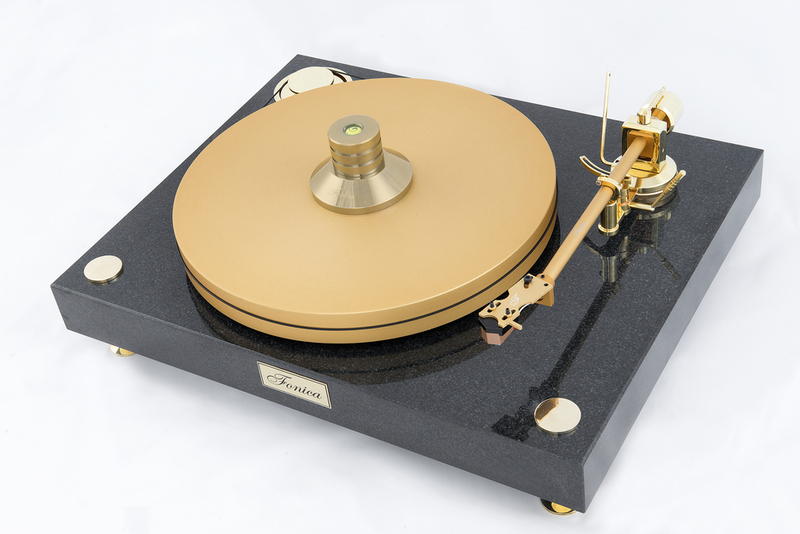 We would like to inform that we are including new turntable models in our offer - FONICA F 601 and FONICA F 802. 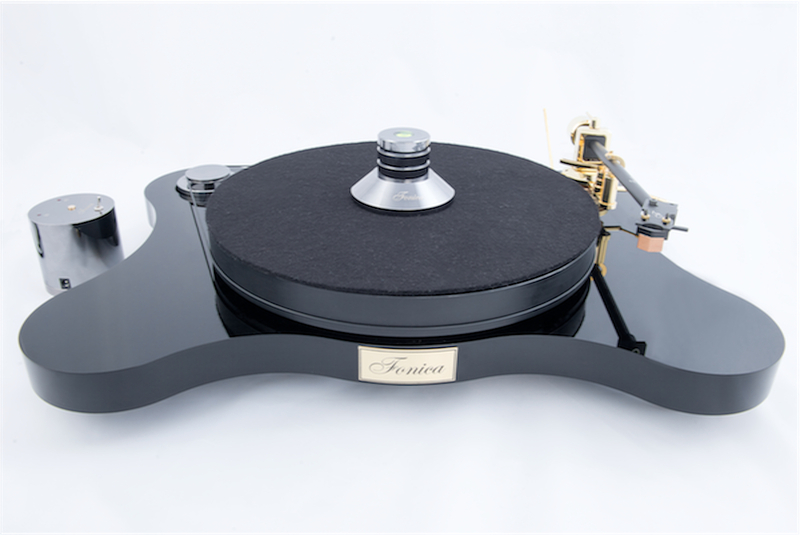 These are both hand made turntables manufactured with the highest quality materials equipped with AUDIO FONICA tonearms. They will replace current F600 and F800 models. We are proud to inform that FONICA F 802 was featured in one of the biggest magazine for audiophiles – „Enjoy the Music”. 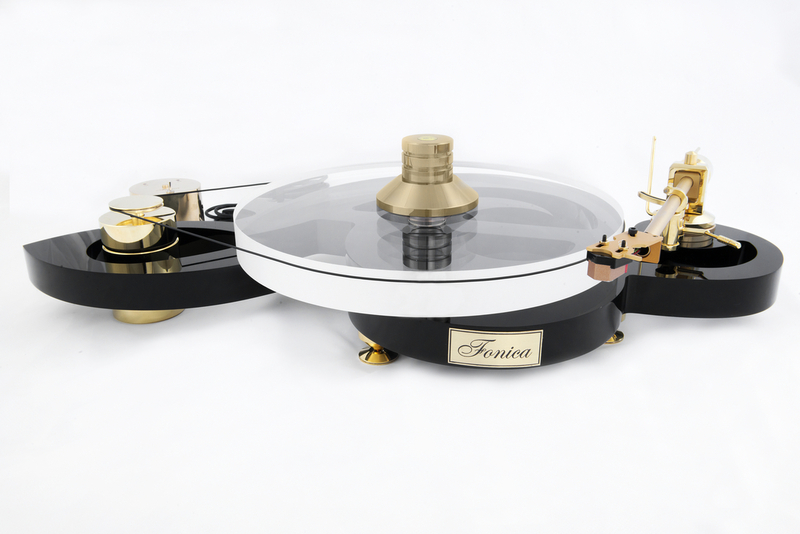 We inform you with pleasure that wolds most populsr Audio Magazine has published test of our Turntable Fonica F-600. "...The F-600 is rich, dense and strong. It differentiates various recordings nicely and makes the good ones sound remarkably good." 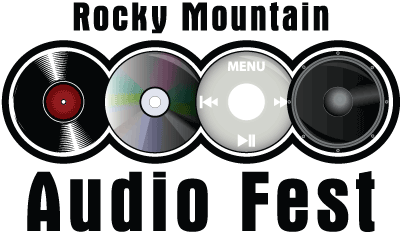 We are proud to inform that Audio Fonica will attend the largest consumer audio and home entertainment show in the United States - the Rocky Mountain Audio Fest in Denver. We would like to thank our distributor Gideon Schwartz of Audio Arts for the opportunity to take part in that prestigious show. On the 18th of may in Wrocław, home to the FUSIC Company, begun a party called "Polska majówka". 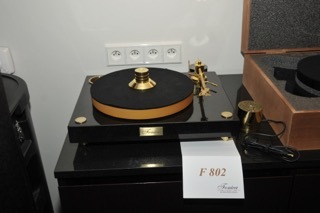 The goal of the event was to showcase audio systems built only with polish components and what all of them had in common was their source - the Fonica F801 turntable. We invite to take a look at the photo gallery in the link below: STEREOLIFE We send our thanks to the organizer - the FUCIC Company. On the 14 of may Audio Fonica took part in the Moda&Styl gala as one of the sponsors. 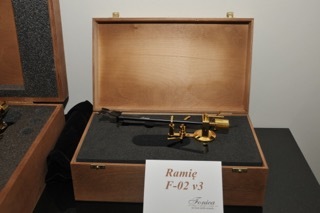 As a part of the event we showcased two of our new models - the F 8001 and he F 900 Violin. The turntables both interested and fascinated the invited guests. We wish to inform you that our telephone number has changed. Its now very simple: +48 697 776 777. Please feel fre to contact us. Audio Fonica will be one of the exhibitors at this year edition of Audio Show 2012 in Warsaw. All interested in visiting our exposition of turntables we invite to Sobieski Hotel at Artur Zawisza Place on 10 to 11 of November. We are a team of specialists who are sticked to the certain accepted rules, therefore we notice the possibility of creation thanks to the new technology. In this way we develop and accomplish our passion under the brand name of Pre-audio. All equipment purchased either in our online store , as well as in the salons of the shop are covered by a full warranty for a period of two years from the date of purchase. For each device , you receive a warranty card with the inscription the name of the device, its serial number and the seal of the company or store, as well as the specific conditions of the warranty. Very please read them and retain your warranty card and proof of purchase ( receipt or invoice VAT). These are the documents required to be submitted with any problems with the device , which would require intervention service . At the same time we would like to inform you that the warranty period for products Pre - audio may be extended for two more years. Detailed information on this topic , including the terms of the extension of the warranty period shall be given by telephone. Tangential arm moves linearly to keep the insert in a direction tangential to the groove on the disc that is read. Vinyl discs are also cuted by the heads that are moving linearly. The resulting groove is therefore alwaysperpendicular to the radius of the disc. Most of the arms turntable is mounted on a rotatingbearing. When the arm rotates on the bearing during playback, change the relative position of the insert relative to the plate and primarily changes the angle between the direction of the insert and the direction of the groove. Thus the needle that senses the sound recorded is set in the groove at a different angle than the stylus head was set.This angle is a source of distortion. The use of tangential arm eliminates this problem. Turntable Ad Fontes began life in 2010 and already exists as a product in the minds wide circle of admirers vinylrecords. Critical remarks helped me refine the design to make it more user-friendly .I am much obliged for all the ideas and thoughts. It inspires! It remains my hope that my work will give joy to users and the number of orders will grow exponentially ... What do you and I wish you! 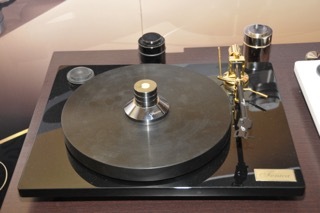 In October 2012, Marek Dyba tested the turntable Polish production, the Ad Fontes, model 14. 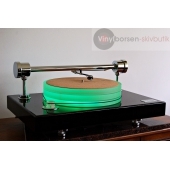 In the summary wrote that "construction, finish, thoughtful solution that makes the setup and operation of this turntable / arm are straight, originality and design reliability - all this makes it is a unique proposition for a reasonable price. "he was not the only one with such thoughts - below a little observation. I wanted to share with you their impressions. After so many years. audiophile ... I bought a turntable. 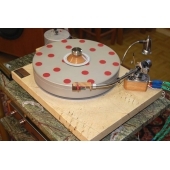 In 2012, in the October edition of "High Fidelity" was released test turntable Polish Ad Fontes, accompanied by a brief interview with its designer, Mr. Andrzej Kozlowski. 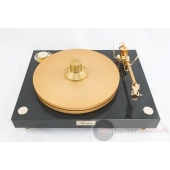 I got interested in the unusual, but sophisticated design of this turntable, his sophisticated plinth, a large platter and an amazing 14-inch shoulder. Because I learned that Mr. Kozlowski has already done a lot of these turntables and quality test Stocks Mark was evaluated highly, I decided to make a phone call to the constructor and May 2013. I made an appointment to audition in Wloclawek. What I heard for about 70 minutes. Slightly shocked me and has further strengthened the belief that I have a turntable, the more so seeing it live appreciated the quality of every detail, commitment constructor, even love for such devices. This love and devotion can be seen everywhere. I had a few great love of life. They came and went - as in life. Some were so strong that they were forever. It Family and Music. Music, once played for pleasure and money, which could be expressed. Then the music of others, which, surprisingly, also a would find. Since the fulfillment of love needs to be satisfied, many years ago I built the first gramophone. It was created not because I wanted to be original, but because all the others do not give full satisfaction. 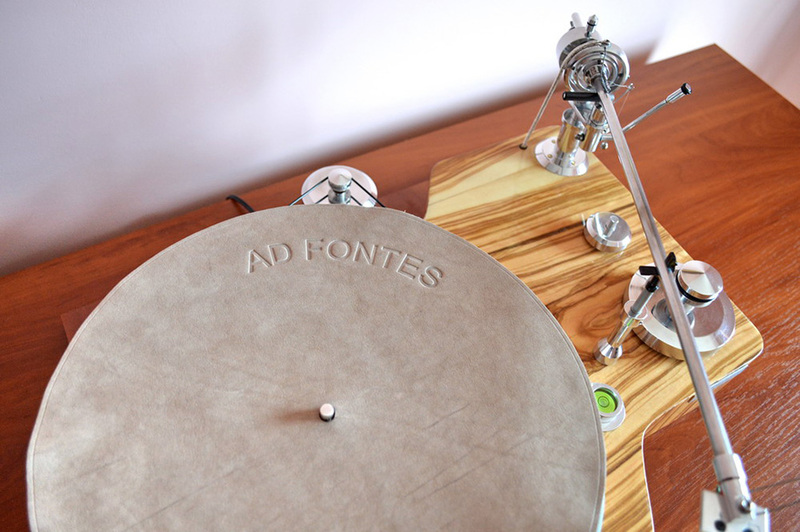 The combination of perfect pitch and an innate musical sensitivity of the fascination that comes from engineering knowledge plus a little determination and patience gave structures called Ad Fontes. There are several, but the most famous version is described quite extensively on the Internet, based on a massive plate, heavy plate and the arm 14 inches - light and allows adjustment of all parameters. Product constantly honed and fine tuning in detail. About 100 elements that you need to take in hand, adjust to each other, buff on the polisher. And then assemble and calibrate. That's about 300 operations to be performed. All personally, because love does not eliminate witnesses and helpers. And then the regret that I have to share that part of me goes away. I guess this will seem silly sentimental reader, but always approached my turntables very personally. Just as for motorcycles, poems, mathematical equations and finally Wives - the same for 35 years and still beloved. I am convinced that it would give me greater satisfaction only handwritten build a violin that I could play a Monk or Zawinul topic. But that no longer have time to do it - all his free time to absorb my turntables and listening to music. Strong, is not it? 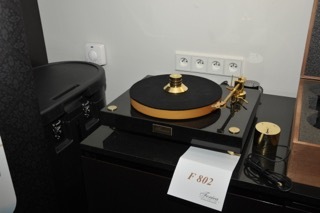 I had the opportunity to listen to before a few turntables at prices to some 40 thousand PLN, but the sound that comes out of the Ad Fontes embarrasses him several times more expensive turntables. Because the constructor performs the plate, which wants a contracting authority, decided to ask for a mixed plate of aluminum - the weight of the element 4.6 kg - and plastic 3.2 kg. Together this means that nearly 8-pound, solid plate. When the phonograph was ready, I went to the constructor insert Goldring 2500, to install it and after a short listening gramophone brought home, where he plugged it into the preamp Lejonklou Gaio, dedicated to MM cartridges. I fired up the system. Still basking insert themselves, but with each new album I'm getting stronger feeling that everything arrives, the sound becomes more coherent, the freedom to transfer music gets impressive. Tangibility instruments and their dynamics are incredible, the amount of information that is able to pass a 14-inch shoulder pad with good surprises. You can hear every little change of color under the blows of the string bass, guitars, even shading reverbs, bass descends very low. You probably also responsible for this metal housing, made in Japan, Goldring, but not only. The instruments have a large drawing, it is very good gradation plans, and the soundstage is wide and deep, which can be described in two words - space stadium. Human voices are mesmerizing. Norah Jones simply stood before me, you could hear every modulation of her voice, Al Jarreau with his distinctive voice, or melancholy Nat "King" Cole, all these voices were shown with great freedom. The drums on the disc Art Blakey and the Jazz Messengers sounded so realistic and have been given with such dynamics that up scared. Also, classical music and jazz have given the opportunity to immerse themselves in them and to live together with the artists who perform it. There is nothing else than just continue to listen to, changing board and enjoy the music from your black and sometimes colored discs. I think we can safely recommend this turntable to people who have little analog records, and do not want to spend big money on a turntable. I suggest listening only to wash plates, especially the new ones that appear to be clean, not because they are new. Nothing could be more misleading. I did it before listening session and I do not regret not hear hardly any glitches. 1. Sade Promise Audio Fidelity (2012). 2. Al Jarreau, Breakin 'Away, Warner Bros. (1981). 3. JS Bach Mass In B Minor, Deutsche Grammophon (1974). 4. AC / DC Back In Black, Sony Music (1980). 5. Daft Punk Random Access Memories Columbia / Sony Music (2013). 6. Norah Jones Feels Like Home, Blue Note (2007). 7. Vangelis Blade Runner soundtrack, Audio Fidelity (2013). 8. Charlie Haden, Antonio Forcione, Heartplay, Naim (2006). 9. Nat "King" Cole, The Best Of Nat King Cole. Vol. 2, Capitol / EMI. 10. Art Blakey And The Jazz Messengers, Drum Suite, Columbia / Sony Music (2012).